Current and former Dyecrest vocalists feature on band's new EP "Stage Is Set" that include familiar tracks from their latest album "Are You Not Entertained?" as well as one previously unreleased track. "Are You Not Entertained?" debuted as 7# on official Finnish physical album sales charts. And now the band has released a special EP that features all of the three singers of Dyecrest. Janne Oksanen, the singer of Dyecrest on their debut album, did the vocals for "First Born Angel". Kimmo Blom (Leverage) interpret the track "Where The Light Was Born". Current vocalist Mikael Salo sings the acoustic track "Winterblood" that is based on the fantasy novel by award winning author Helena Waris and also the title track of the EP. There's also previously unreleased track "Truce" on the EP. "It was wonderful to attend the composition for the first time with Dyecrest when we composed Truce last autumn. 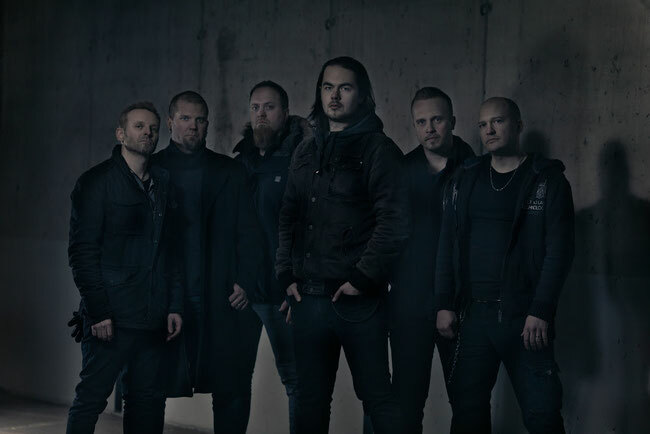 We achieved to nail some pretty good vocal arrangements inspired byt bands like Blind Guardian and Queen." "It was a true honor to share this release with the extremely talented former Dyecrest vocalists." The EP was mixed by Miitri Aaltonen and mastered by Mika Jussila at Finnvox Studios. Dyecrest plays some shows this year that will be announced on their official facebook page.